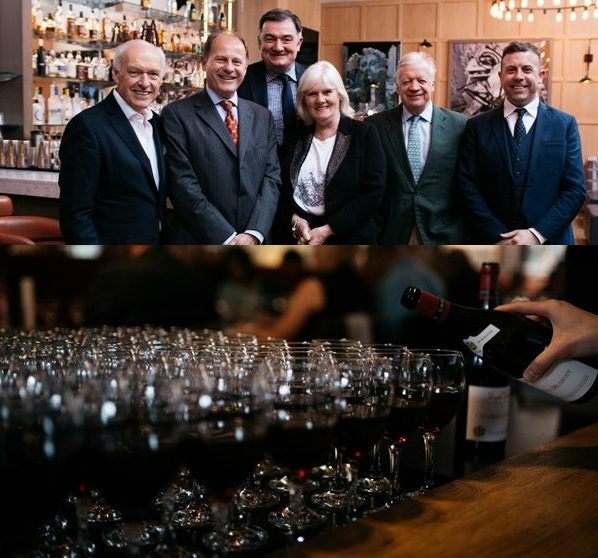 Fifty eight Burgundy fans descended on top St Andrews restaurant The Adamson for our recent Joseph Drouhin Wine Dinner. As the early evening sun went down guests enjoyed a glass of Justerini & Brooks Sarcey Brut Private Cuvee, while our speaker from Drouhin, Christophe Thomas, was introduced. Two white wines accompanied East Neuk Crab: a surprisingly rich and textured St Aubin and a more stately and complex Puligny Montrachet – both from the attractive 2014 vintage. A rare rack of lamb followed and many guests proclaimed the fourth wine, a Chambolle Musigny 2014, as the wine of the evening. Proceeded by a delicious, fresh Cote de Beaune 2013, the Chambolle was dark in colour and long on the palate and matched the black olive and caper and red wine sauce, beautifully. Christophe spoke of the subtle changes in wine-making at Maison Drouhin; the on-going introduction of organic farming procedures, supporting their efforts to bring in healthy and ripe grapes – a fundamental objective of all conscientious wine producers. And finally, served with some aged and locally made cheese, we all enjoyed a wonderful, alluring glass of Gevrey Chambertin, Lavaux St Jacques 1er Cru 2012. This wine showed great depth of flavour and, although still youthful, was already complex and quite profound. A very fine way to end a special evening in the ancient University town of St Andrews. Grateful thanks to The Adamson owners Ken and Julie and his first-class restaurant team, ably managed by the unflappable Dugald.